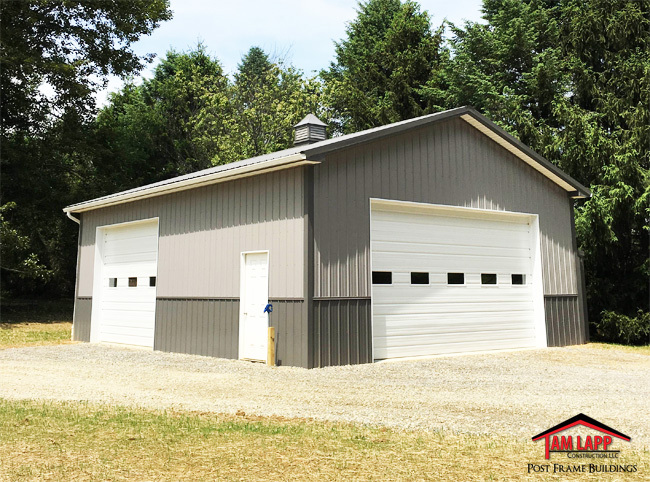 Roofing & Siding: Painted 29 GA. Steel, 40 Year Metal Roof and Sides. Clopay Comm. Model 525V Garage Door: (1) 10’Wx10’H & (1) 18’Wx10’H White Ribbed Panel w/ Glass.